Chutneys, like mango chutney, are condiments served alongside curries, rice or rotis to compliment, balance or sometimes provide reprieve from heavy spices and flavours. 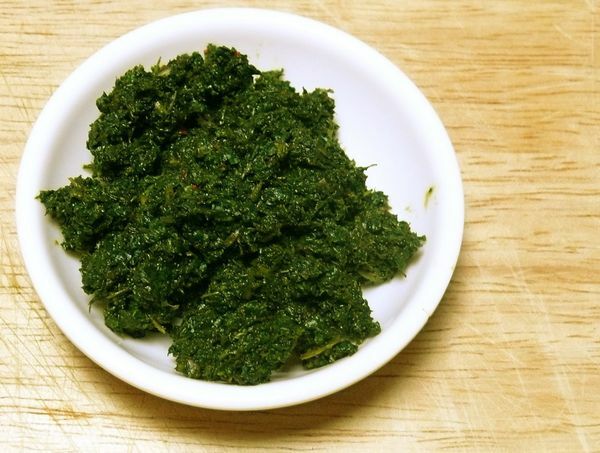 Mint chutney is perhaps the strongest contrast to the food its paired with, because it’s fresh and like many fresh herbs, its flavour can’t be tempered. A little salt, heat and lime round out the flavour of this mint chutney that is still all about this refreshing, fragrant herb. It’s perfect with Sri Lankan food, of course, and other South Asian curries. But it would also be really nice on sandwiches or as a pistou on soups or pasta too. 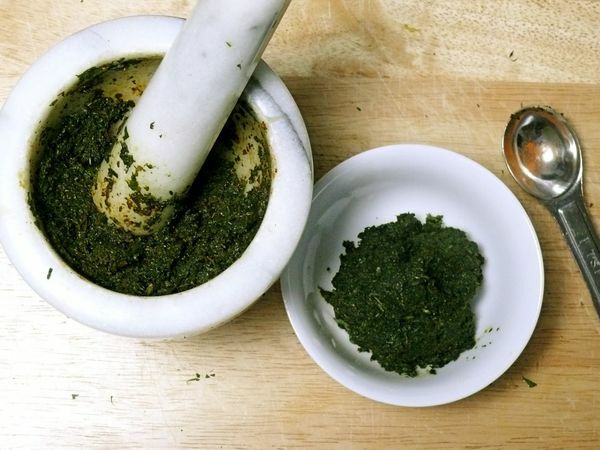 And like most pistous or pestos, it’s often made by pounding fresh leaves in a mortar and pestle. But my mother and I did a side by side comparison of the traditional technique versus making the chutney in a food processor. And, to our surprise, the food processor yielded a better result. The flavour of the food processor version was so much fresher with the leaves sharply chopped by those blades instead of pounded and bruised. And the non-bruised leaves looked better too since they didn’t take such a beating. You can see how much brighter the green is in the photo below on the right. So save your strength and have fresh mint chutney in about 2 minutes flat. Pulse the mint leaves in a food processor until the pieces are finely minced, then add the salt and cayenne and process until fully combined. 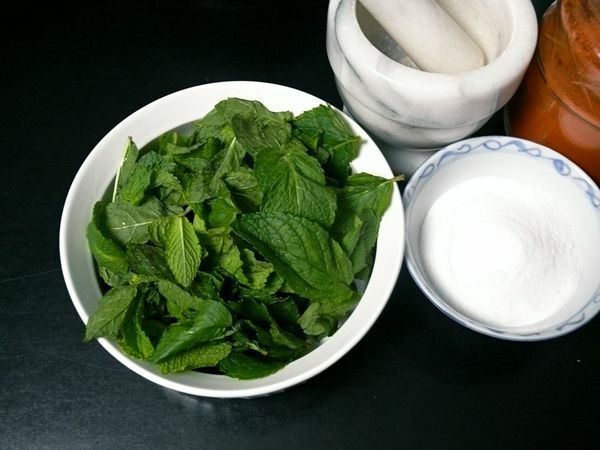 If using a mortar and pestle, pound the mint leaves until they are completely broken up and almost form a paste before adding the salt and cayenne. Add lime juice 1 tsp at a time and stir through to moisten the chutney. Taste before adding more and adjust seasoning as desired. Food processor did a great job as well as the one handling it. Very lovely presentation, mouth watering and interesting indeed.